Product code: 00026 Categories: The Beach, Necklaces. 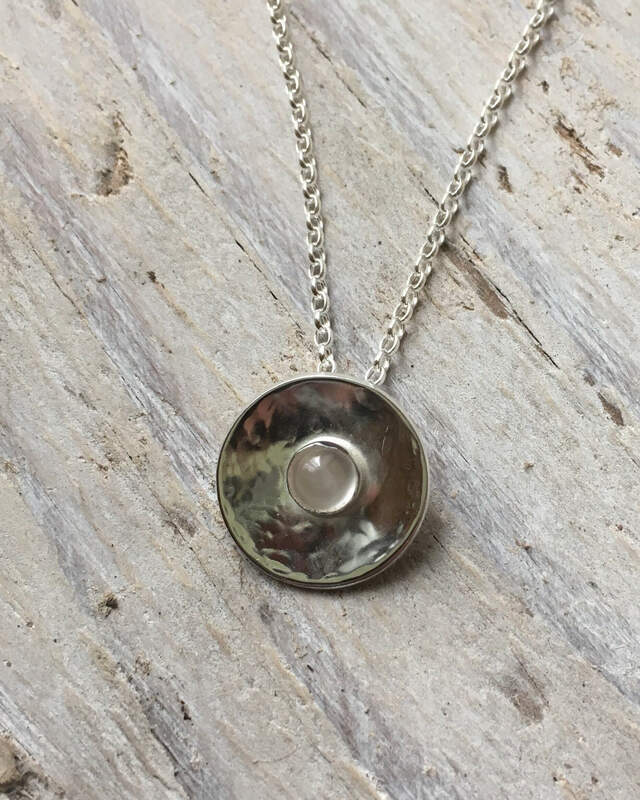 The moon on the water pendant is hand made from recycled silver. It’s a lightly domed circle of recycled silver, approximately 16 mm in diameter. 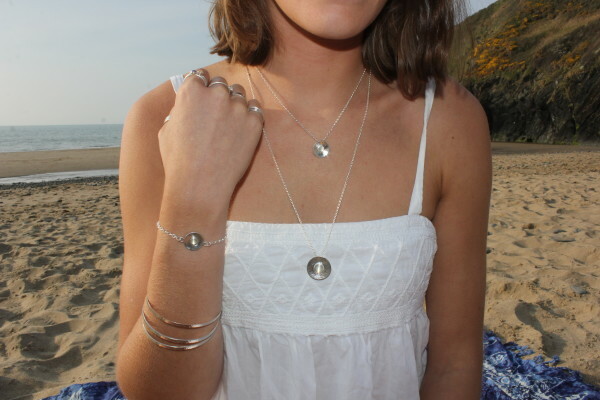 The circle is hammered to represent the movement of the sea and it features a beautiful 5 mm white moonstone cabochon. Moonstone is said to be a stone of intuition, inspiration and goddess energy. Bring out your inner goddess with this pretty pendant. The hammering process means that no two pendants are ever the same. It comes on your choice of a 40cm, 45cm, or 50cm sterling silver chain.